I wrote about Wynn Resorts yesterday, and there was a big move in another ‘Macau’ stock we hold, on Thursday. 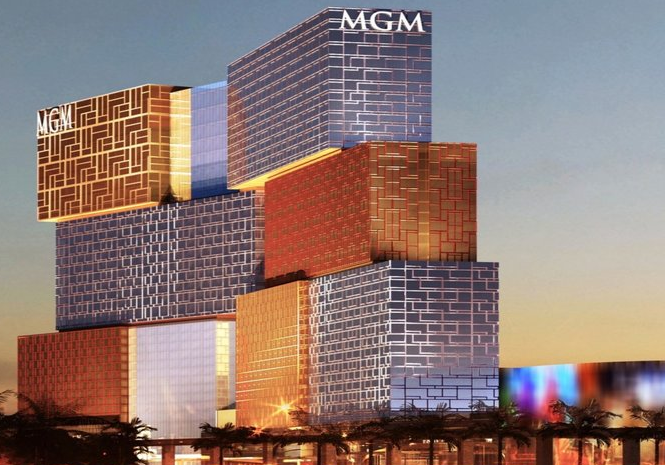 MGM Resorts leapt 6% after an upgrade from Deutsche Bank, along with rating agency Moody’s. The company’s new resort under development in Macau is set to meet its fourth-quarter deadline for opening, despite the disruption caused by Typhoon Hato, according to a senior executive. 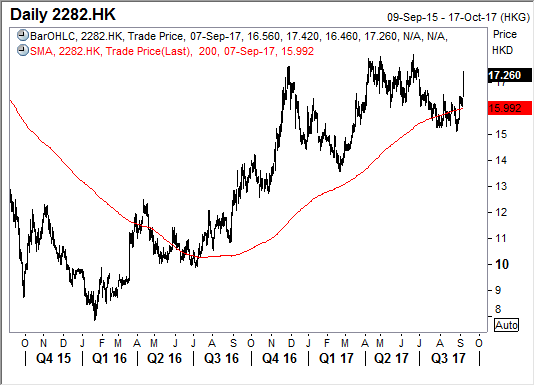 This is also going to be a big boost for MGM as revenues in Macau rebound, with a transiting to mass market continuing to play out. We hold MGM China in the Global Opportunities and Asian Managed portfolios. Disclosure: The Fat Prophets Contrarian Fund declares a holding in Wynn and MGM Resorts.